Luckily, the Internet has a few archives of older software if you really want to give it a go. While some programs may prove compatible, update those that connect to the Internet to quash any bugs or security vulnerabilities. Old Apps breaks options down into categories, such as web browsers and media players. Everything is easily found as a result, and the site is one of the most popular. As a result, it’s comprehensive and can lead to discoveries of programs you have not seen before. Only the original installers are stored, guaranteeing no tampering or modifications will have taken place. This should only prove an issue if the program does not natively support a more modern operating system and others have modified it to work properly. This is a rare happening but deserves mention. 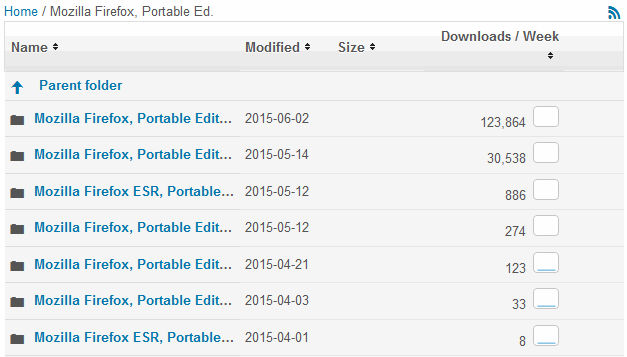 The site provides another neat feature in that it displays the checksum for the file during the download countdown. By doing so it allows users to double check and ensure nothing has been changed or modified for their own peace of mind. Doing so requires additional utilities but is within the scope of most computer users. 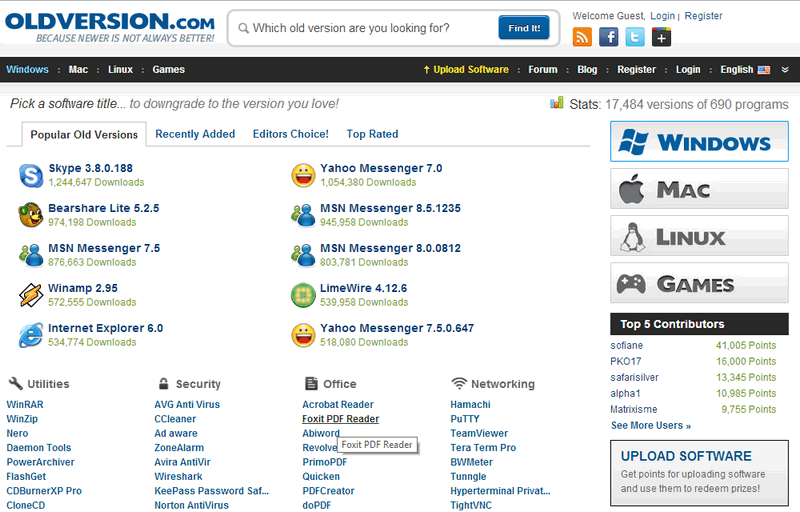 Old Apps also provides Mac and Linux versions of programs, benefiting the majority of computer users with an enormous list of versions. Google searches typically bring up Old Apps in results before Old Version meaning that the site may not be as popular. 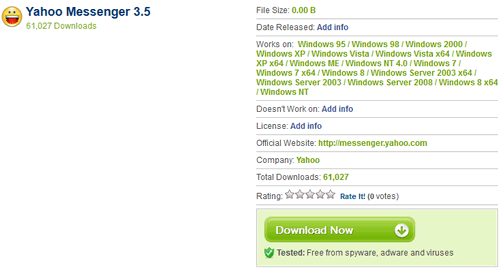 The presence of the software counter in the upper right is an asset, giving an idea of just how many versions the site likely lists installers for. Neither site appears objectively “better” given that they may have different software, nor does one offer a more simplified download process over the other. Countering this point is the fact that Old Version features game installers as well which appear to have been distributed for free for some time now. One of the higher-profile examples would be the original “Grand Theft Auto” which developer Rockstar Games had distributed for free for some time. Portable applications are inherently unusual; we explained why in a previous article. 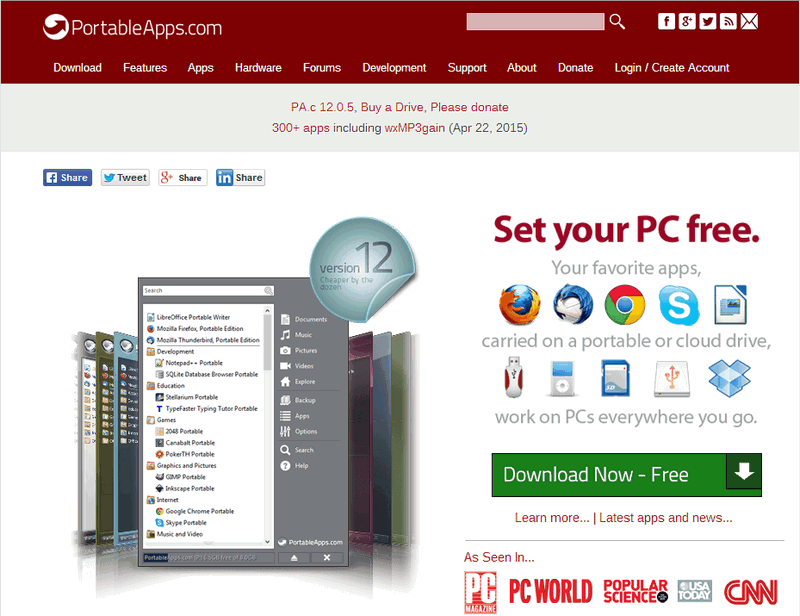 The largest collection of portable software is likely to be the website for the project. Their goal, noble as it may be, is to provide up-to-date programs which flies in the face of our goal. Or does it? While the programs do receive updates to reflect their continued development, the older versions are not simply deleted. 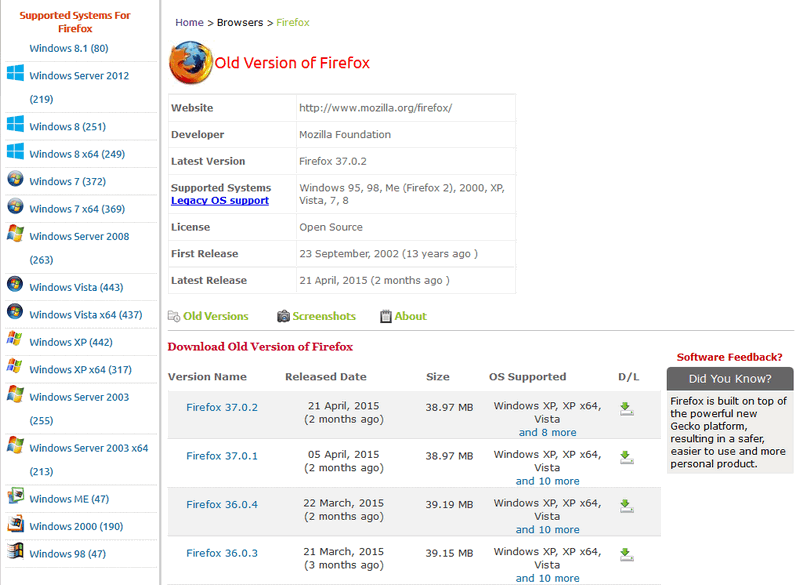 The group instead operates a SourceForge repository containing their older versions. This is perfect for our needs. The old versions continue to exist and are neatly laid out in various folders, even if the majority of users have no interest in these versions. The SourceForge repository is absolutely massive; the group maintains portable versions of Firefox’s Extended Support Release (ESR) in a variety of languages as well as the standard release stream. The fact there are two distinct methods of downloading and using older software is a pleasing one, as it gives users the choice of a more permanent install or something that can be “thrown away” at will. For many, being able to run and dispose of the portable version without ever touching their usual install will prove irresistible. Language is another concern, for many uploads are only in English while the world does not universally speak the language. Any freedom of language choice is laudable and increases the availability of some very useful programs. In brief, Portable Apps is likely to be the most accessible option despite the other sites having also taken on the same noble goal. 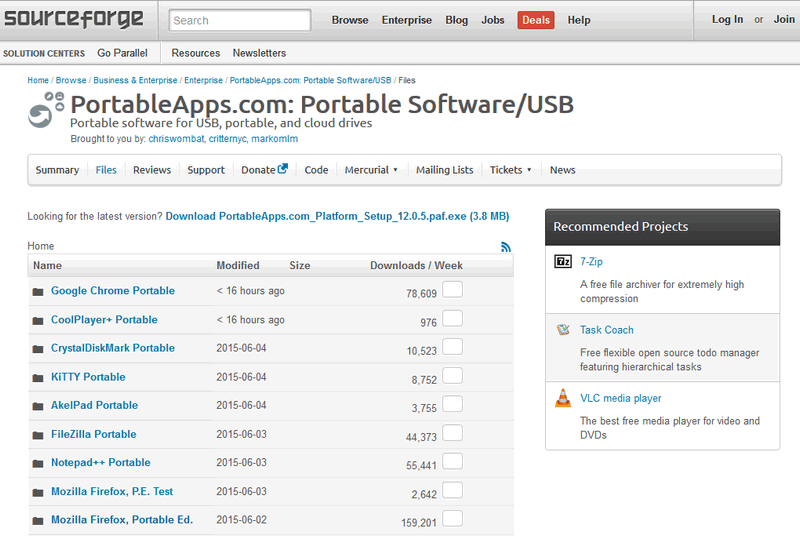 In cases where portable versions of software are unavailable, then it can be useful to have the other sites close at hand. Naming one site the “most comprehensive” is difficult, and it requires a fair bit of guesswork. They’re all highly accessible, making it possible to visit them all if you’re in pursuit of something very specific. Speaking of “downloading older versions for any OS”, the XP driver for my scanner does not work with Vista and there is no driver update available at the manufacturer’s website. Any thoughts what I can do short of buying a new scanner?